I cast these babies on over the labour day weekend, for a drive to NYC. I managed to get through turning the heel before the end of the trip, and there the project sat for weeks on end. I finally picked them up again about a month ago, and raced through the end of the first sock. 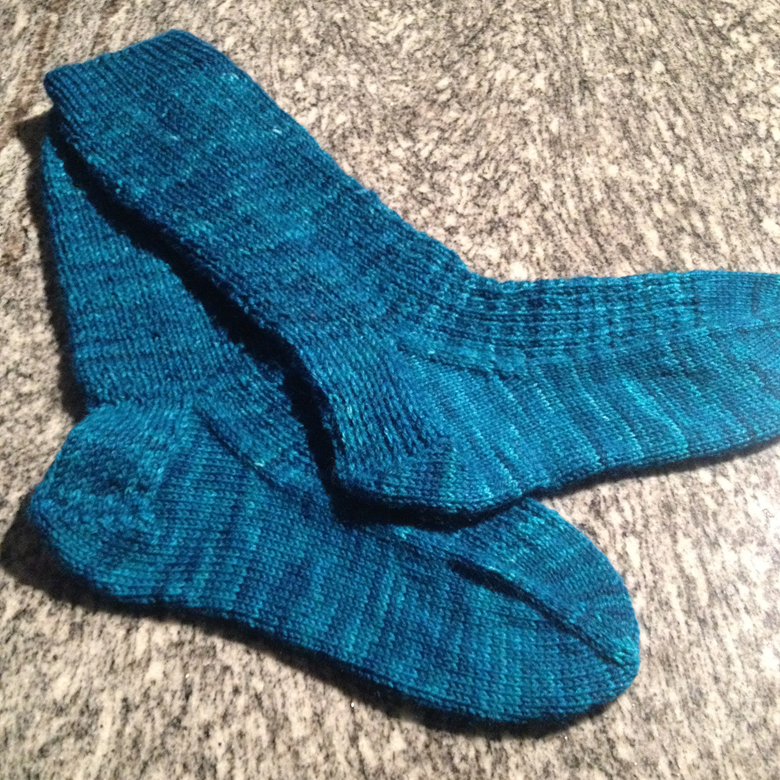 The second sock got onto the needles right away, and (A Christmas Miracle!) were finished and blocked by Christmas eve, ready for me to give to my mama. 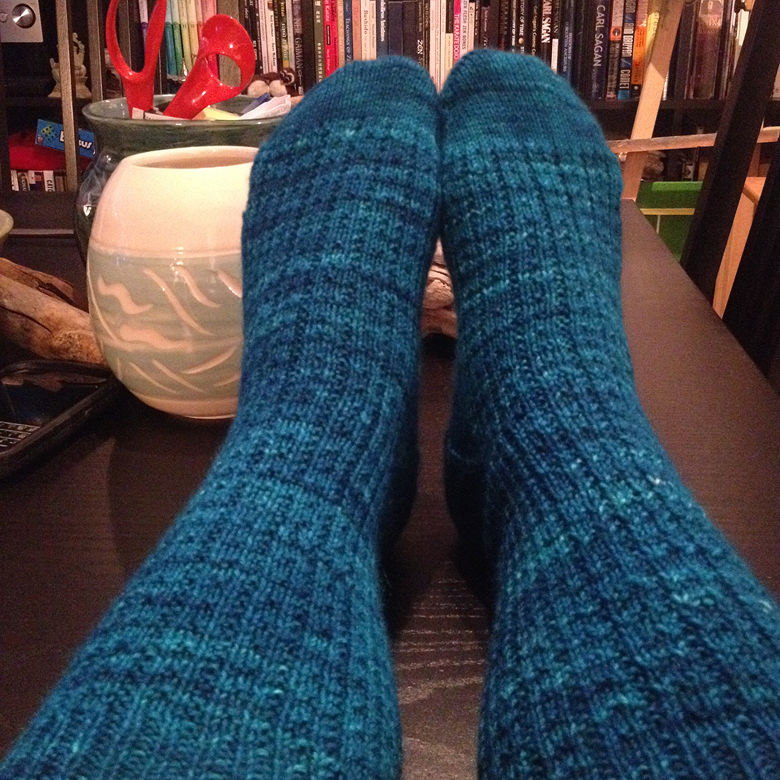 Designed by my dear friend Rayna, Petty Harbour is a gorgeous, free, easy sock pattern. Did I say free? I definitely recommend checking it out! It’s my first sock with an actual leg attached to it (I’ve only ever achieved ankle socks) so I feel pretty proud of my bad self. Woot, well done on the socks :) And for giving them away, something I don’t think I’ll ever do!